Even though I work from home, my social life is pretty out there. I love to travel and so I’m constantly in the need to speak to people and of course the people whom I’m traveling with. Regardless if I ate something that will give me a bad breath or not, I’m still mindful of my oral hygiene. When I saw this funny video on Swish’s Facebook page, I immediately thought of myself and how I sometimes am like that; freaking out, not knowing if I have fresh breath or not. Thanks to technology, we now have ways to have fresh breath even when we’re on the go! 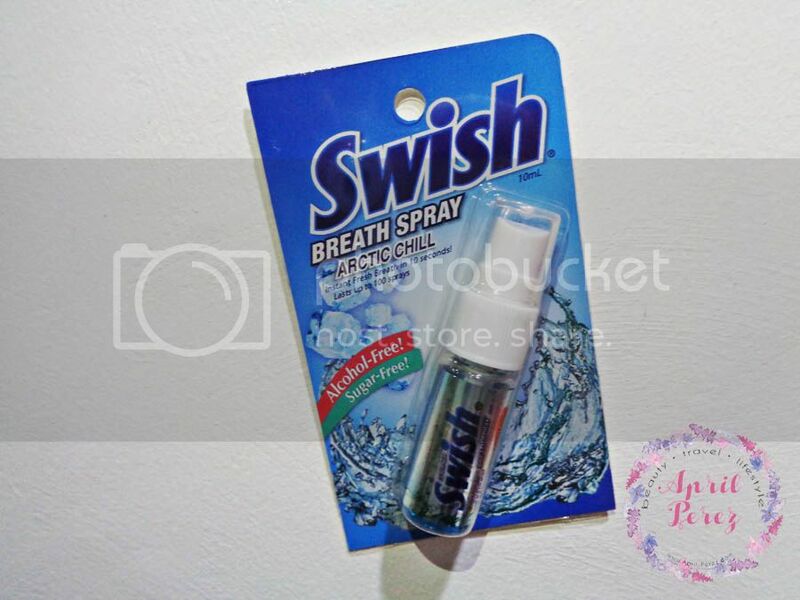 What I like about the Swish Breath Spray is that it’s alcohol free. Although alcohol is not really harmful when in contact with the teeth, it’s a drying agent which means it can reduce saliva production; leading to a dryer mouth environment. It comes in 10ml bottles which means I can carry easily put this in my carry-on bag whenever I travel! It’s very convenient whereas if I bring a travel toothbrush and toothpaste, it’s a total waste of time having to go to the bathroom just to freshen my breath. Lastly, it’s very affordable and can be purchase in leading stores nationwide. For only Php105.00, you can get this at any Mercury Drug, Watsons, South Star, Robinsons, Puregold, Shopwise, and other selected drugstores/supermarkets nationwide. DISCLAIMER: I am not in any way affiliated with Unilab. Product mentioned was sent by the said company and all details posted above are from my own words and is 100% unbiased.